While Bangladesh was considered once as a “basket case”, it has proven to the entire world that it can do wonders as a development country. Since Mohammed Yunus has received the Nobel Price for his pioneering work in making poor women bankable and has led the foundation for the micro-finance revolution, the image of Bangladesh has greatly improved. It is not so well known that Bangladesh has also achieved other pioneering development tasks. From 1987 to the year 2000 over 1,5 million treadle pumps have been sold in Bangladesh at a cost of less than 25 US $ and each pump may have generated an additional income of 100 US $. 20 % of the more innovative farmers have been able to generate additional incomes of 500 US $ and more. An impact evaluation by a team led by Tushaar Shah came to the conclusion that the treadle pump allows “pedalling out of poverty”. Today, sales have declined because small diesel pumps have become much cheaper and a water market is now functioning: small farmers can now buy water from their neighbours if they need and there is not anymore a monopoly on water as it was the case when diesel pump owners became “water lords”. Bangladesh will achieve total sanitation by the year 2010 and this means that the Millennium Goals for sanitation will be achieved at 100 % (not only halved) 15 years ahead of schedule. How was this possible? In 1989 a first conference was held in Dhaka on “sanitation by the private sector” as it was more and more evident that many people in smaller towns were buying latrines from private latrine producers. A large SOCMOB (social mobilisation) campaign started in 1990, pushed up the demand and created a much more attractive market for private latrine producers. Between 4,000 and 6,000 private workshops came into business and because they were much more consumer oriented, they drove the government owned latrine production centres out of business – despite the subsidies that those centres received. Latrine coverage increased from 10 to over 45 % by 1995.
b) sanitation marketing by promoting private latrine producers through demand creation. 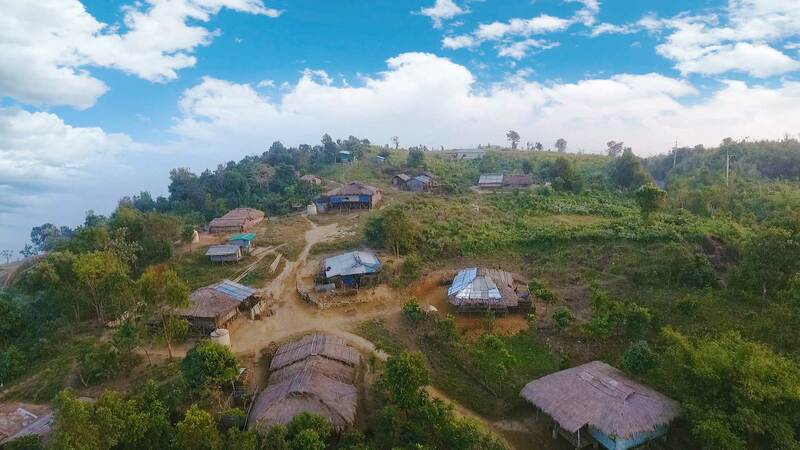 Together, this total sanitation campaign allowed to create a flourishing business for over 10,000 private latrine workshops, an important rural industry in Bangladesh.